Supporting the media you love is more essential now than ever. At Trailers From Hell, we think that we’re doing more than just creating a fresh, evolving, experience you love, something more than just film appreciation and commentary three times a week. No, we’re actively involved in preserving the movies (or, at the least, the memory of them) for future generations. It’s a space completely free of any corporate interference or business interests that might interfere with the one guiding editorial principle we hold close: a passion for films, both new and old, classic and obscure, great and, yes, sometimes terrible . It’s run by us, basically, and by our friends and by whomever of our always-growing guru stable we can rope in to sitting and telling us a little more about the movies they’re watching or remembering. Unfortunately, doing these things isn’t always cheap (and doesn’t always pay for itself) so it comes down to you as the only way we can keep this site alive. And free. Or, to put it another way, unless you want us putting this site into the vault where they keep all the other failed internet projects, we need whatever support you can lend us, even if that’s just the occasional sharing of a link to our latest bit of movie love. Welcome to the neighborhood. Thanks for supporting the stuff you love. You’ve got our undying gratitude. Someone from the team is going to write you a sure-to-be eloquent and thoughtful email of thanks alongside a digital certificate of our appreciation. You’ve just joined the ranks of the Hellbound. For your efforts, you’re getting a coveted spot on our Wall of Flame and Hellbound Certificate personally signed by Joe Dante. Hello, Hellion. You just made our day; now we’ll make yours. Check the site soon and you’ll see your name emblazoned on our Wall of Flame. Check your mail a little later and you’ll find a freshly-signed copy of Trailers from Hell, Volume 2 on DVD and a personalized Hellion certificate (also freshly-signed). Welcome to the legion of Hellhounds. 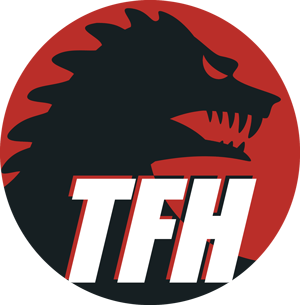 For your commitment, we’re going to laser-etch your name into our Wall of Flame, ship you both a certificate of our appreciation and a signed copy of the TFH Volume 2 DVD, and give you access to exclusive digital content.